Economic all around, the 2018 Mitsubishi Mirage G4 is an excellent choice for Chicago drivers looking to save both space and money. The affordable sedan version of the Mitsubishi Mirage, is both practical and stylish. With a unique design that offers plenty of interior space for tall drivers or extra cargo space, the 2018 Mirage G4 is both versatile and affordable. If you like the sporty style and compact design of the Mirage, but are looking for more space, or just prefer the accessibility of a four-door sedan, then the 2018 Mirage G4 is the one for you. With a class-leading MPG, and easy handling and maneuverability, you can easily navigate through the streets of Chicago, and save money while you do it. The 2018 Mitsubishi Mirage G4 runs on a 1.2-liter inline 3-cylinder engine that is quick to perform, while conserving its fuel to offer up to 35 mpg in the city, 42 mpg on the highway for a combined mpg of 37. For a quick performance, drivers can also harness the engine’s 78 horsepower and 74 lb-ft of torque. Inside, the 2018 Mitsubishi Mirage G4 offers a surprising amount of passenger space for its size. It offers up to 89.5 cubic feet of passenger space, leaving plenty of room for up to five passengers to sit comfortably. It also features 17.2 cubic feet of designated cargo space in the trunk, making it easy to transport all of your gear. Interested in getting behind the wheel of the new 2018 Mitsubishi Mirage G4? You’ll be happy to know that the 2018 model was recently welcomed to our inventory here at Continental Mitsubishi. Just take a minute to browse our inventory to see the models we currently have available. From there, all you have to do is give us a call to set up a test drive. You can also set up an appointment online by clicking the button below and sending us a message. We look forward to hearing from you! 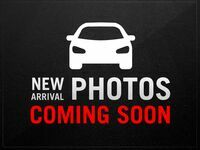 Interested in a Mitsubishi Mirage G4? What Colors Does the Mirage G4 Come In?